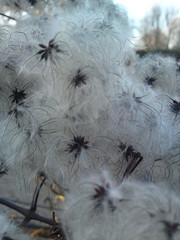 Looks like Old Man’s Beard, but it was on what i think is one of our climbing roses. Never seen it before. 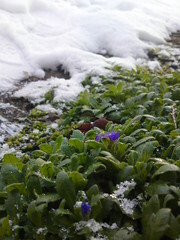 Amongst all the snow a couple little purple flowers flourished.